Civil Engineering: How to apply Floor load in Staad pro? When you apply a floor load to a slab panel, the program calculates the equivalent load and apply the load to the beams bordering the slab as a uniformly distributed load. You do not have to calculate the equivalent load manually and apply them to the beams. The program will calculate the tributary area for these members and calculate the appropriate members loads. Floor load is used for two way distribution. The member load is assumed to be a linearly varying load for which the start and the end values may be of different magnitude. 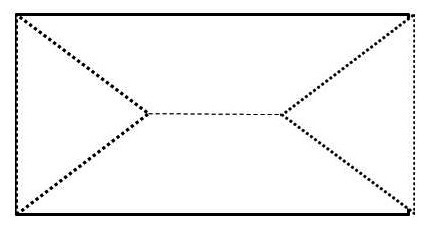 These loading types should not be specified on members declared as MEMBER CABLE, MEMBER TRUSS, MEMBER TENSION, MEMBER COMPRESSION, or CURVED. Floor load is used in situations where the basic entity (plate, solid or surface) which acts as the medium for application of that load, is not part of the structural model. f1 f2 = Global coordinate values to specify Y, X, or Z range. The load will be calculated for all members lying in that global plane within the first specified global coordinate range. area projected on a X-Z plane. Similarly, for commands beginning with XRA, the load acts parallel to the positive global X and based on the area projected on a Y-Z plane. Similarly, for commands beginning with ZRA, the load acts parallel to the positive global Z and based on the area projected on a X-Y plane. first specified global coordinate range. GX,GY,GZ = If a Global direction is included, then the load is redirected to act in the specified direction(s) with a magnitude of the loads which is based on the area projected on a plane as if the Global direction was omitted. The Global direction option is especially useful in mass definition. INCLINED - This option must be used when a FLOOR LOAD is applied on a set of members that form a panel(s) which is inclined to the global XY, YZ, or ZX planes. The structure has to be modeled in such a way that the specified global axis remains perpendicular to the floor plane(s). FLOOR LOAD from a slab is distributed on the adjoining members as trapezoidal and triangular loads depending on the length of the sides as shown in the diagram. The load per unit area may not vary for a particular panel and it is assumed to be continuous and without holes. For a panel that is not rectangular. First, the CG of the polygon is calculated. Then, each corner is connected to the CG to form triangles as shown. For each triangle, a vertical line is drawn from the CG to the opposite side. If the point of intersection of the vertical line and the side falls outside the triangle, the area of that triangle will be calculated and an equivalent uniform distributed load will be applied on that side. Otherwise a triangular load will be applied on the side.